In the nineteenth century, scientists travelled, collected, catalogued and labelled. Their collections became the foundations of numerous museums displays, which often survived for most of the twentieth century. I remember being taken on a school outing, many years ago, to the Natural History Museum in London. In one section of the museum I was overawed by arrays of glass cases and cabinets with wide drawers full of butterflies. They had been collected from around the world, skewered, pinned down, neatly catalogued, then labelled with place and date of capture. By the mid twentieth century, even schoolboys were assembling collections of specimens, which they laid out with as many pins, considerably less dedication and no scientific rigour. My butterfly net failed to cause a single butterfly death, so my own collecting ended before it began. Now, in the twenty-first century, mindless electronic machines relentlessly collect images of us. I imagine these images, skewered with virtual pins, laid out in myriad memory banks, all neatly catalogued, then labelled with place and date of capture. While human photographers face progressively greater restrictions, these robotic photographers proliferate unhindered. A decade ago, I decided to turn the tables on these machines—I would photograph them. Belatedly, I would become the schoolboy collector. 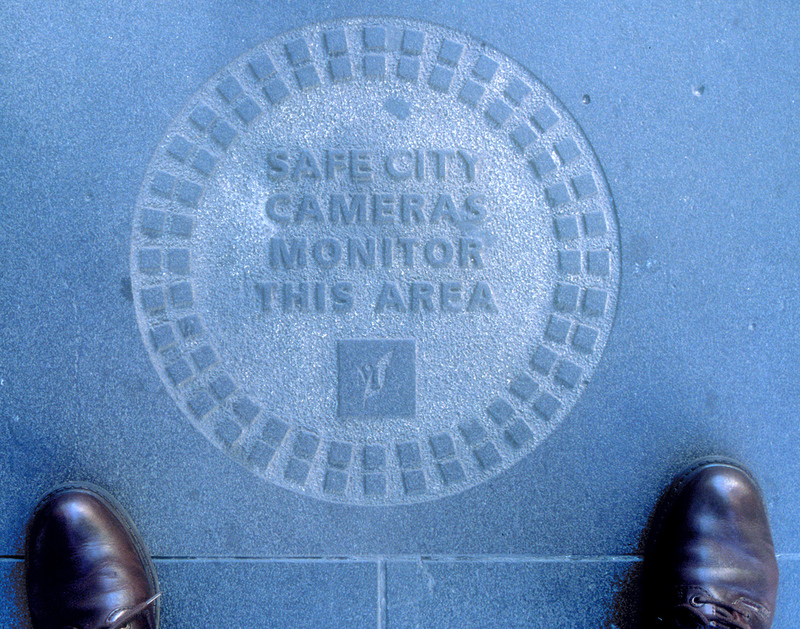 I would grab evidence of these so-called security systems wherever I chanced to find them. In this exhibition, I present some of the specimens I have collected. They are displayed, as they should be, in their glass cases, skewered, then labelled with place and date of capture. 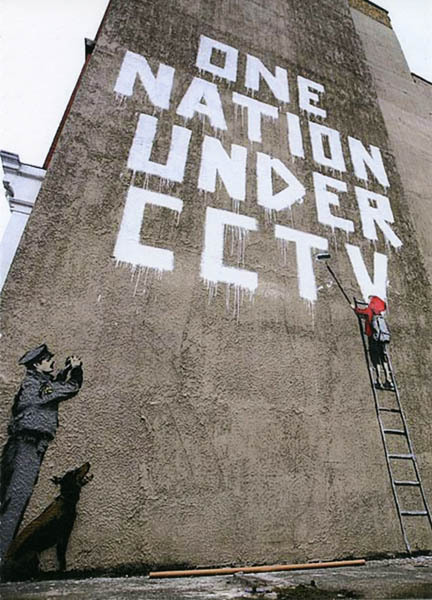 Each person in England is filmed on CCTV 300 times per day on average. Who is watching whom and for whose benefit? We really only appreciate it when it’s gone.